Fast forward to today. My boys were taking their naps and I already finished cleaning the house. That pizza box was just begging to be crafted so I turned some ideas around in my mind and finally decided I wanted to make a small art easel out of it. 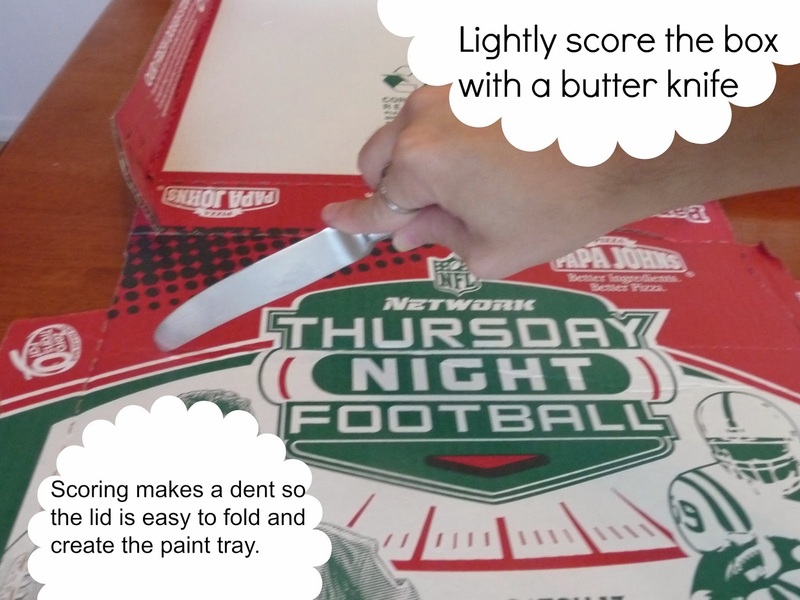 I sat for a while trying to think of how I can manipulate the box before I just decided that I’m sure there are some creative people who have already perfected this idea…so I turned to Google. 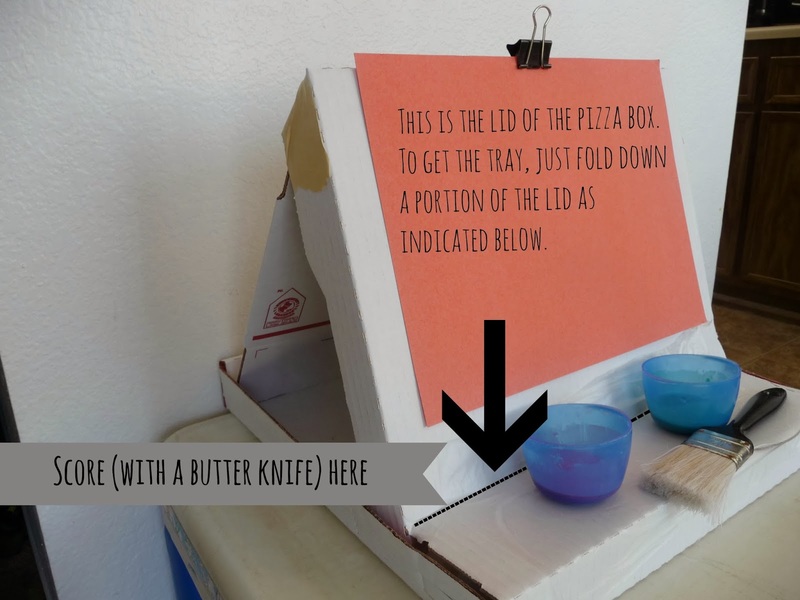 Lo and behold, there was already a great tutorial on making a pizza box easel. They included a few tools which I was without, so I did have to improvise a bit, but the finished product came out AWESOME! Step 2: Turn the box inside out. This step is really optional. I just like the clean white look of inside of the pizza box versus the business of the outside of the box. **Pictures added to clarify this step! Note: I accidentally scored on the inside of the box instead of the outside. I had to do this again on the outside of the box but forgot to get a picture. Step 4: Tape another piece of cardboard to the back of the easel (I used an old postal box). This is the support for the back of the drawing board of the easel. You can also see it in picture 6. Step 6: Gather your paints. I will be posting a homemade paint recipe that we used later this week! 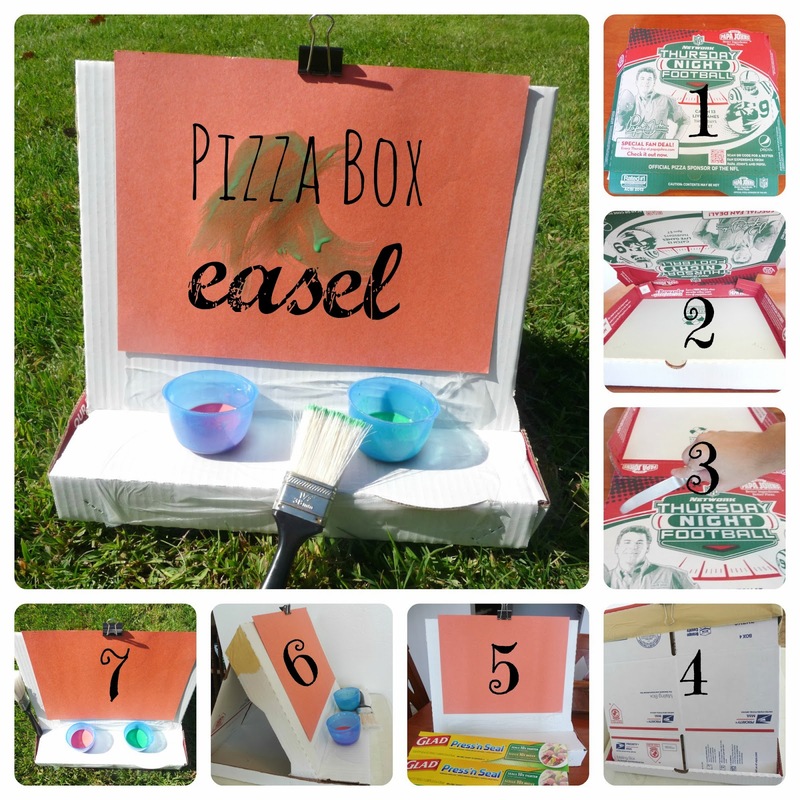 Step 7: Enjoy your new Pizza Box Easel! 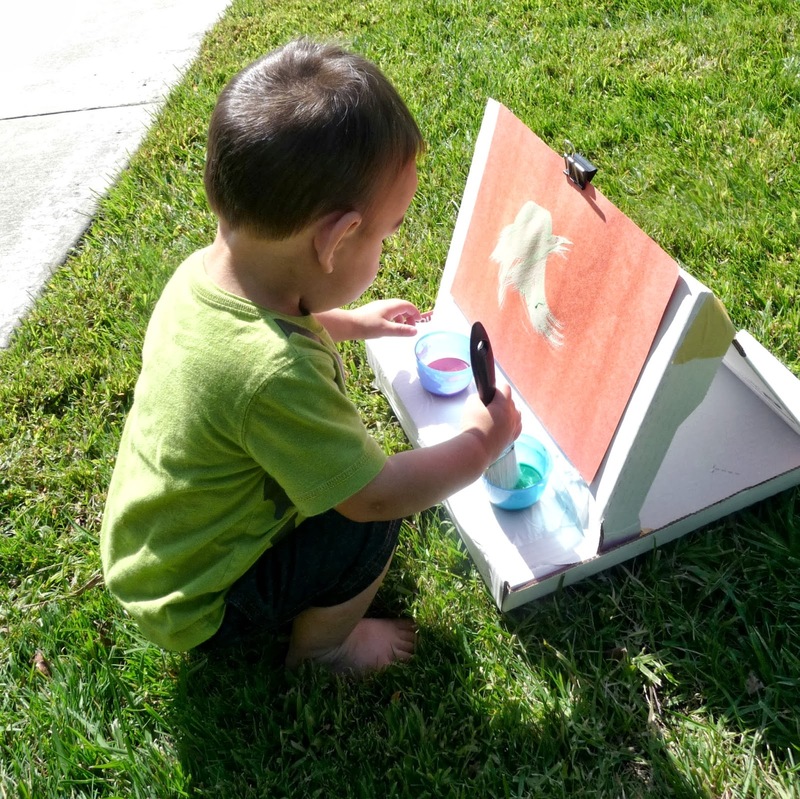 Perfect for painting outside during this beautiful fall weather!